I am a current master’s student at the College of Marine Science under the advisement of Dr. Brad Rosenheim. You can learn more about me by clicking here to access my professional website! One of my field sites in Ten Thousand Islands, Florida. My research is focused on carbon cycling in mangrove forests. These “blue carbon” ecosystems have gained considerable attention because of their ability to trap and store carbon; however, less work has focused on understanding soil organic matter (SOM) cycling processes within these habitats. Why do we care about the processes controlling SOM cycling? These processes can impact the determination of accretion rates and turnover time. 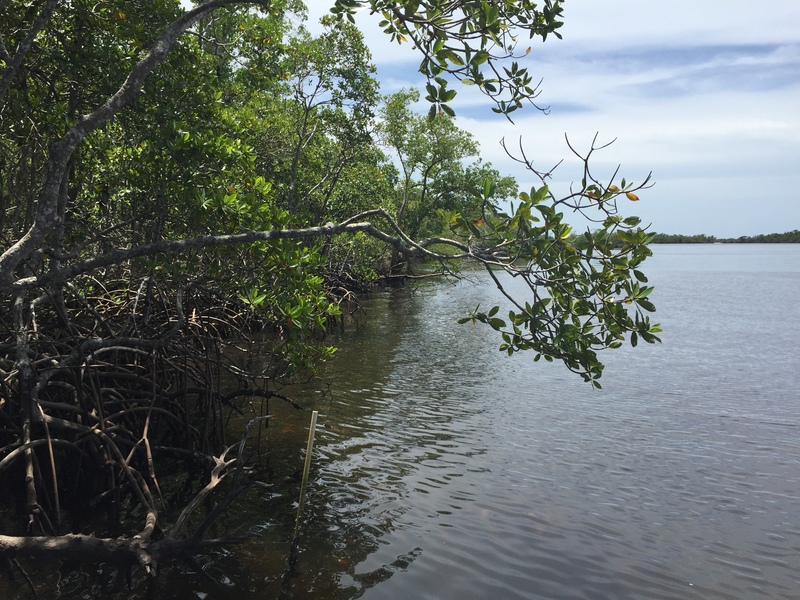 As sea level rises, accurate calculations of accretion rates will help us to understand if coastal wetlands will be able to keep pace with sea level. An understanding of turnover time gives insight into the effectiveness of the carbon sink – how long is the carbon being stored in the system? To learn more about my graduate and undergraduate research click here.